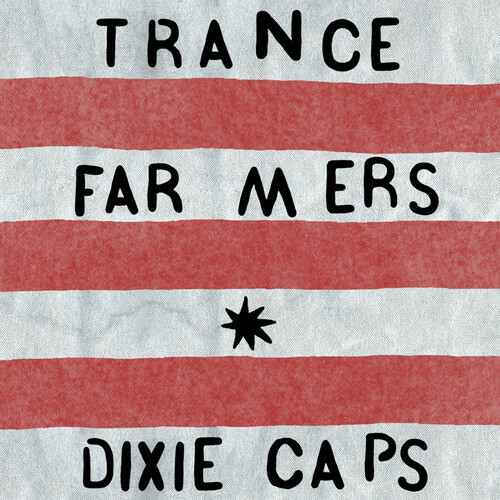 TRANCE FARMERS — DREAM TRAIN – IS YOUR CLAM IN A JAM? Trance Farmers is Louisianan Dayve Samek musical project, which sounds like a warped White Fence projected through an even more drenched sugar cube. The dreamy melodies and voices, mixed with the lo-fi distortions and samples make a layered, beautiful aural soundtrack to a sun stained escapist late afternoon. Dream Train is like closing your eyes and obliterating the ticket to the multicolored locomotive in your mind, green and purple tracks leading the way to tunnel in the clouds to another dimension. As you warp through the wormhole colours start to change into a iridescent sunset of vaporous vegetation that leads to a sea in the sky you always knew existed but never found the reason why. Check out Dream Train below and pre-order Dixie Caps, out on Stones Throw Records, HERE.